Among the crop of new filmmakers to emerge in recent years, there is no one who has brought ferocity and excitement to the realm of cinema better than Xavier Dolan. Though he started out as a child actor, the French-Canadian director, at 26-years-old no less, already has five astonishing films under his belt. Unafraid to define himself as a director of style, though the substance is there in spades, Dolan has managed to make the type of films most young filmmakers only dream of. The fascinating thing about him is that he has not even tapped into his full potential yet. Born in Montreal, Quebec, Canada on March 20, 1989, Xavier Dolan is the son of the Egyptian-born Canadian comedian/singer Manuel Tardos and Genevieve Dolan, a schoolteacher. Diving into the Canadian film and television industry at an early age, some of Dolan’s acting jobs included doing voice-over work for dubbed versions of English-language films such as the Harry Potter Dolan and Twilight series (he voiced the characters of Ron Weasley and Jacob Black in those respective films). While acting brought Dolan financial stability, his true desire was to be a director. Inspired by his own relationship with his parents, including the growing pains he had experienced, Dolan’s first film focused on a teenage boy’s troubled relationship with his mother. Dolan wrote, directed and starred in the semi-biographical tale I Killed My Mother. Playing lead role of Hubert, a 16-year-old Québécois living with his single mother, he enlisted the services of famed actress Anne Dorval, who became a muse of sorts for Dolan’s future works, in the role of the Hubert’s mother Chantale. He rounded out the cast by adding Suzanne Clément to play Hubert’s sympathetic schoolteacher. Though he was only 19-years-old during the film’s production, Dolan’s was beyond his years in regards to the concepts he had for the film’s framing and composition. With the aid of cinematographers Stéphanie Weber Biron and Nicolas Canniccioni, he was able to be bring his intricate vision to life. 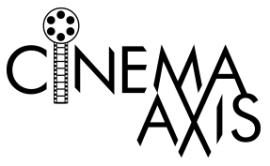 The influences of filmmakers such as Stanley Kubrick and Wong Kar-Wai were noticeable in Dolan’s film; especially in regards to I Killed My Mother’s asymmetrical framing and the way he approached shooting characters from behind. The addition of sound designer Sylvain Brassard also helped to give the film a unique texture that eloquently captured the turbulent nature of youth and identity. I Killed My Mother premiered at the 2009 Cannes Film Festival as part of the Directors’ Fortnight program. The film ended up winning three awards at the festival and was well-received by critics. Dolan’s debut was a major hit in Quebec and France, and also garnered a lot of attention worldwide on the festival circuit. The surprise success of his first film led to several production companies wanting to work the young rising talent. However, Xavier Dolan wanted to maintain the control and creative freedom over his work. For his next feature, Heartbeats, he decided to take a more hands on approach to the decisions made in post-production, including taking over the editing duties himself. Rumored to have written the script entirely on a train ride from Montreal to Toronto, Heartbeats told the story of a love triangle between a woman, her gay best friend and the young man that they are both attracted to. While the film featured an appearance from both Anne Dorval and the French actor Louis Garrell, the principle cast saw Dolan playing the lead role of Francis, the gay friend of Marie (Monia Chokri). 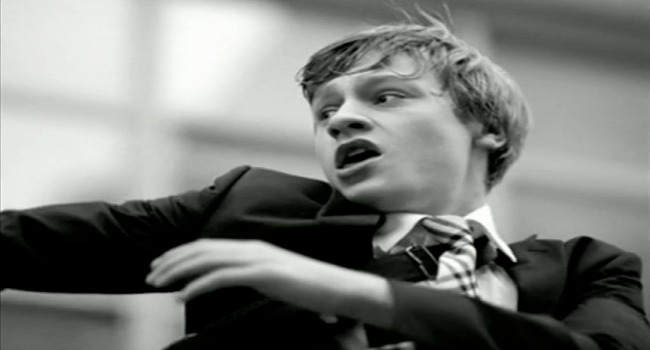 The object of Francis and Marie’s desire, Nicolas, was portrayed by Niels Schnider who had a small role in I Killed My Mother. Dolan brought a different approach to the film’s stylistic elements through his use slow-motion shots, and his more refined usage of music. In regards to the latter, he strayed from a conventional film score in favor of using a mixture music, that spanned everything from classical to electronic music, to drive the narrative forward. Each song used either said something about the individual characters or spoke to a specific mood in a particular scene. Heartbeats debuted at the 2010 Cannes Film Festival in the Un Certain Regard section. Receiving much acclaim at Cannes, the film became a hit at festivals and won a prize at Sydney’s Film Festival later that year. The positive reception upon its commercial release in France and Canada helped to cement Dolan as director whose future looked promising. After taking some time off, Dolan began work on what was then his most ambitious project to date. Laurence Anyways focused on the tumultuous relationship between Frédérique (Suzanne Clément) and her boyfriend Laurence (Melvil Poupaud), the latter of whom desires to transition into a woman. In an age where positive portrayals of transsexuality was still relativity new in mainstream media, Dolan’s decade spanning love story was both bold and riveting. 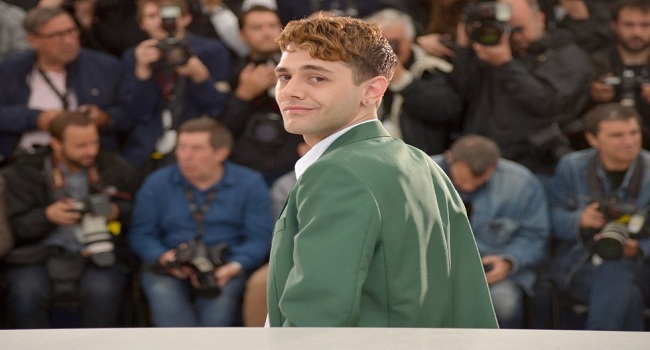 The film marked the first time Xavier Dolan did not star in his own film – though he and Anne Dorval did make cameos. Anchored by the strong performances by Clément and Poupaud, Dolan filled the rest of the supporting cast with Monia Chokri, Yves Jacques, and the veteran French actress Nathalie Baye. To bring out the film’s lush and vibrant stylistic look, Dolan hired Yves Belanger to be his cinematographer. Belanger’s work added a rich layer to the couple’s complex relationship. This was especially true for colorful textures he brought to both the dreamlike sequences and the scenes in which Frédérique struggles to come to terms with her own notions of identity. Due to the scope of the production, Dolan spent a long time editing Laurence Anyways down to its final running time of 168-minutes. The film made a splash at the 2012 Cannes Film Festival, where it screened in the Un Certain Regard section. Laurence Anyways walked away with both the Queer Palm and a Best Actress prize for Clément. Collecting numerous prizes on the festival circuit, and receiving tremendous buzz amongst critics, the film was given a limited release in the U.S. in early 2013. Embraced by art-house audiences, Laurence Anyways was cited by many as the film that marked that young director had officially arrived. Being a fan of the French new wave band Indochine, Dolan agreed to take time from his film post-production schedule to direct the video for their single College Boy. The experimental video played into the world of homophobia and the gay bashing that occurred on college campuses. Dolan brought in the young actor Antoine-Olivier Pilon, who had a small role in Laurence Anyways, to play a schoolboy who is victim of a horrendous beating. Shot in black and white, and featuring a unique aspect ratio, Dolan presented a truly stunning and uncomfortable work. The video can be seen here (warning NSFW). Having established himself as a daring filmmaker with a unique visual style, Xavier Dolan’s next project was steeped in genre filmmaking. Based on Michel Marc Bouchard’s play Tom a la ferme, the film told the story of Tom (played by Dolan), a young advertising copywriter who travels to the Quebec countryside to attend his late boyfriend’s funeral. Upon arrival, Tom is shocked to discover that his boyfriend, Guillaume, never mentioned him, or the fact he was gay, to his mother (Lise Roy). Experimenting with aspect ratios, which saw Dolan move from a fuller-widescreen format to a more letterboxed widescreen format in certain scenes, André Turpin was hired to handle the cinematography. Dolan took great pleasure in indulging in the tropes of genre filmmaking. Examples of this can be found in the ways Dolan explored the repeated psychological and physical abuse that Tom receives at the hands of his deceased lover’s brother, Francis (Pierre-Yves Cardinal). Dolan further heightened the drama and tension in the film by forcing Tom to play along with Francis’ twisted, and increasingly dangerous, web of lies. Following a long post-production, Dolan finally premiered Tom at the Farm at the 2013 Venice Film Festival. A hit at the festival, where it won the FIPRESCI prize, the film had a successful theatrical run in Canada and Europe. Unfortunately, American audiences have to wait until August of 2015 before they can see the film on the big screen. Mommy found Dolan diving back into more personal storytelling. Revisiting the dynamics of mother-son relationships, the film revolved around a single mother, Diane “Die” Després (Anne Dorval), struggling to raising her teenage son, Steve (Antoine-Olivier Pilon), who has been diagnosed with a severe case of ADHD. Through a series of events, a shy neighbor, Kyla (Suzanne Clément), who is dealing with her own issues, finds herself intertwined in Die and Steve’s life. To further complicate matters, the film takes place in fictionalized futuristic world where parents have the legal right, if they so choose, to hand over complete custody of their unruly children to the government. 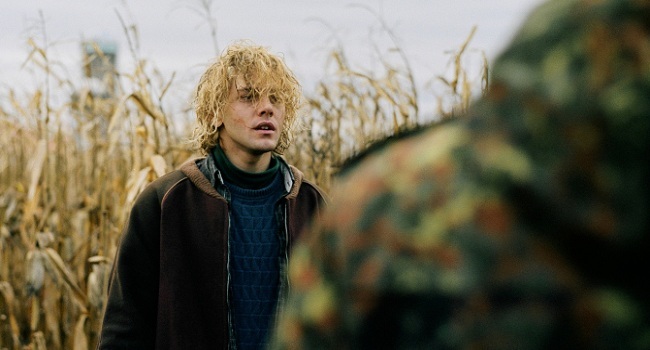 The ambitious film saw Xavier Dolan challenging himself from both a story and visual standpoint. Working with André Turpin once again, Dolan not only shot the film in a 1:1 aspect ratio, but did so in a way that never felt like a gimmick. In fact, the tight framing gave the film an intimate feel which forced the audience to pay attention to the drama that unfolded onscreen. It also helped to sell the claustrophobic nature of the situation Die finds herself in. Suffocating under the weight that comes with dealing with Steve’s daily outbursts, Die constantly struggles with wanting to do what is right without having to give up on her son. After being a regular at Cannes for a few years, Dolan finally got to experience what it was like to have a film in competition for the Palme d’Or when Mommy premiered at the 2014 Cannes Film Festival. The film received a 13-minute standing ovation from the audience and ended up sharing the festival’s third-place Jury Prize with Jean-Luc Godard’s Goodbye to Language. It was considered quite an achievement for the then-25 year-old director. Mommy was a critical hit and became Dolan’s most commercially successful film to date. Although the film failed to garner an Oscar nomination for Best Foreign Language Film, Dolan did secure a win in the same category at the Cesar Awards. Not wanting to rest on his laurels, Dolan already has two new features in the works. The first is an adaptation of Jean-Luc Lagarce’s play Juste la fin du monde which revolves around a terminally ill writer who returns homes to his family, after a 12-year absence, unaware of the turmoil his presence will bring. Working with famed American music composer Thomas Newman for the first time, Dolan has gathered a stellar cast, which includes Marion Cotillard, Lea Seydoux, Nathalie Baye, Gaspard Ulliel, and Vincent Cassel, to bring the film to life. It’s Only the End of the World is slated for release in 2016. Dolan’s other feature will be his first-ever English-language production. The Death and Life of John F. Donovan focuses on an actor’s whose career is turned upside down by a gossip columnists when his correspondence with an 11-year old fan is exposed. British actor Kit Harington will star in the titular role, while Jessica Chastain, Susan Sarandon and Kathy Bates all have key parts in the production as well. No announcement has been made in regards to when it will hit theaters but, considering the level of talent involved, anticipation is already high for the film. Not even in his 30’s yet, and with five impressive films under his belt, there is no question that Xavier Dolan is one of the most exciting filmmakers of this generation. Displaying more confidence and ambition with each passing film, and continuously bringing fresh sensibilities to the big screen in invigorating ways, Dolan is clearly a director whose cinematic torch will continue to burn brightly for years to come. His films sound interesting, ill have to check them out. Thanks for the heads-up. Need to find time to check these out!